The former Manchester United manager reveals that he had to fight to keep the forward. 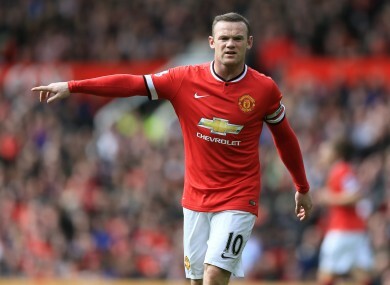 Manchester United's Wayne Rooney was close to joining Chelsea, according to David Moyes. FORMER MANCHESTER UNITED manager David Moyes has revealed that he had to fight to prevent Wayne Rooney from joining Chelsea during his time at Old Trafford. Moyes moved to the 13-time Premier League champions from Everton at the start of the 2013-14 season but failed to live up to the high standards set by his predecessor, Sir Alex Ferguson. After just 10 months in charge, the Scot departed Old Trafford and has since taken the reigns at Spanish club Real Sociedad and he has now lifted the lid on the transfer saga surrounding the England captain. Moyes gave Rooney his senior debut while at Everton but felt that he needed to revitalise the striker once they were reunited at Old Trafford. “I felt he’d lost a bit of his fight,” the Sociedad boss noted. “The thing about Wayne was he was always a fighter; he’s a technically terrific footballer, can do anything with the ball, but behind it he’s a tough boy, a street fighter in his football, and I felt he’d lost a bit of that. Email “Rooney nearly joined Chelsea, says Moyes”. Feedback on “Rooney nearly joined Chelsea, says Moyes”.